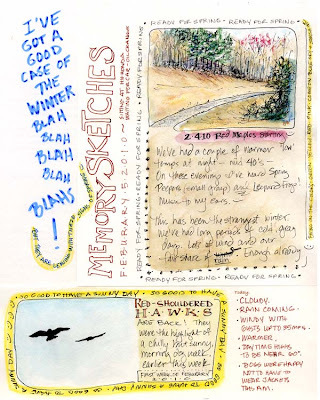 South Carolina LowCountry Nature Journaling and Art: Signs of Spring..... Really! Love this entry!!! I am going to copy your inspiring ideas in my journal tonight. This is awesome. Great job. I like the various fonts you used. Lovely to think that at least somewhere there are signs of spring as here in WNY we are still in the deep depths of a cold, snowy gray winter. Your painting and page composition is as always, inspiring!! Thanks, Carol! It has been very gray here - quite unusual. Haven't had the blahs like this since we left WNY :) Here's hoping for sunny days, at least, for you! With a foot of snow in Virginia, it seems like forever before we will hear spring peepers. But that day will come. I love your journal page. Thanks, Joan! Wow, you got pounded. Sending warm sun your way. Hear you may get more this week, though. Keep safe and warm! Pam, you blog is wonderful. It's perfect viewing while a blizzard hits Long Island. 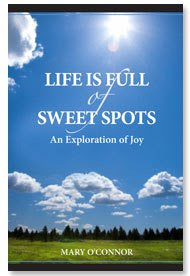 I have lots to learn from you on journaling, thank you for sharing. Thank you Joan for your kind words. I too am learning from you outstanding painting! Stay warm and travel safe. Hope the power stays on! Ugh - still searching for signs of spring! I hate being wimpy since I know that we're actually pretty lucky to be in the south, but I am over all of the cold weather...Great post! Thanks, Dave! I went birding today at Donnelley WMA and Bear Island. I was thankful the outing wasn't in yesterday's horribly cold and 40 mph wind, but a wagon ride at 8:30 a.m. in 30 degree (not counting the wind chill) weather made up my mind about weather I could live up north again! !